Academic education: 1994 – 1998, Studies of Biology at the Rheinische Friedrich-Wilhelms-University of Bonn, Germany. 1999, Diploma thesis at the Institute of Neuropathology in Bonn. 2000 – 2003, Ph.D-thesis at the Department of Psychiatry, University of Bonn, Germany. 2001/2002, 6-months research period at the Laboratory of Experimental Genetics and Transgenesis with Prof. Fred Van Leuven at the Catholique University Leuven, Belgium funded by a Marie-Curie Training-Site Fellowship from the European Community. 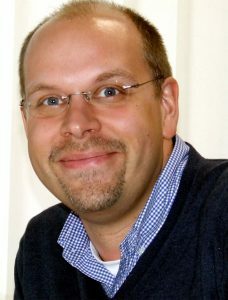 2003 – 2006, Post-Doctoral Scientist at the Department of Psychiatry of the Saarland University Homburg, Germany. Current position: Senior scientist and Associate Professor the Department of Psychiatry at the University of Göttingen, Germany.